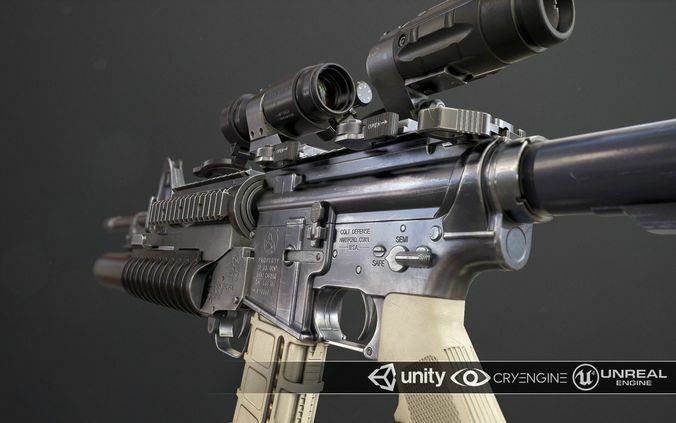 The 3D model Rifle M4A1 was created on real base. It’s created accurately, in real units of measurement (centimeter), qualitatively and maximally close to the original. The intended use for this model and its textures are first person shooters. Polycount is equal to current generation games such as Far Cry or Call of Duty.